← Wordless Wednesday: Did This Grow Overnight? I am grateful to Sue Turner at from sewing room to potting shed for nominating me for the Liebster award for gardening blogs. I have been at this blogging thing for just less than a year, and I am surprised and humbled by recognition by such a thoughtful peer. Reaching across the pond, Sue, I send my sincere thanks. 1. What is your favourite cut flower from your own garden? 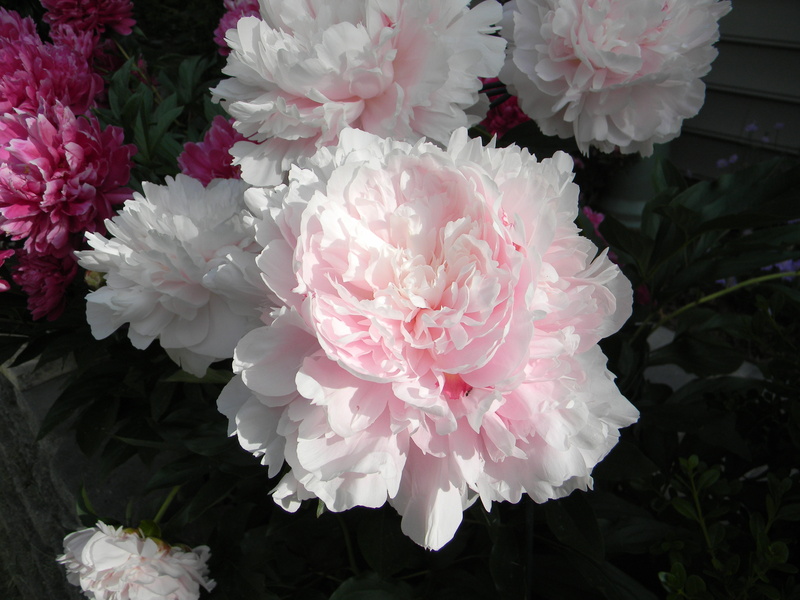 Peonies and hydrangeas, during their seasons, are the ones that find their way into the house most often. 2. What is the biggest pest in the garden? 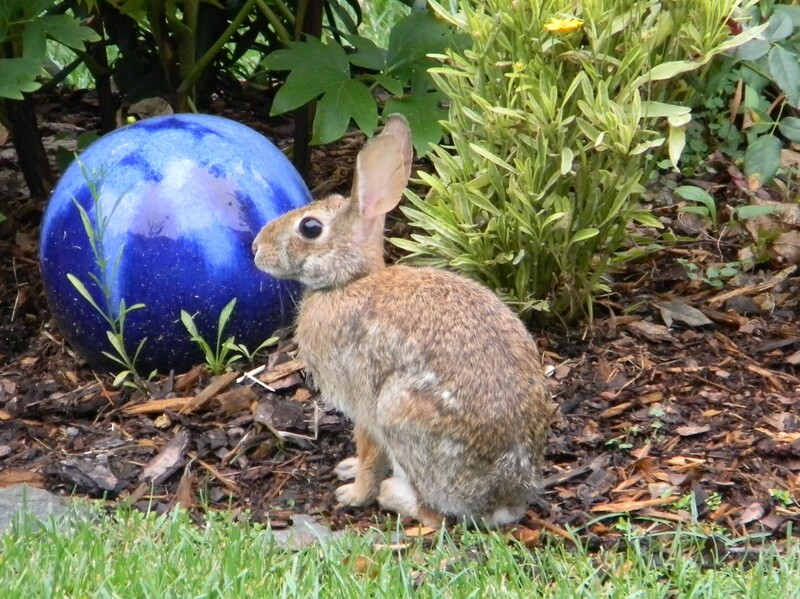 Japanese beetles, slugs, and the occasional raccoon have been a bother, but the most persistent pests are the rabbits. I appear to have an expanding family of them. 3. What size was your first plot? It was a two by four foot vegetable plot at my Grandmother’s. I was about 8 or 9 years old, and she was giving me my first lessons in planting and tending a garden. The ancestors of the above pictured rabbit ate a lot more of my lettuce than I ever did. 4. Cottage or Formal? I tend to have a mixture of both…a somewhat formal hardscape for definition of space but decidedly cottage in planting style. 5. What is your favourite tree? I am unable to separate the Japanese maple, the crape myrtle and the chaste tree. Each in its own season in my garden is clearly the eye catcher of the moment. 6. What is your biggest propagating or seed growing success? 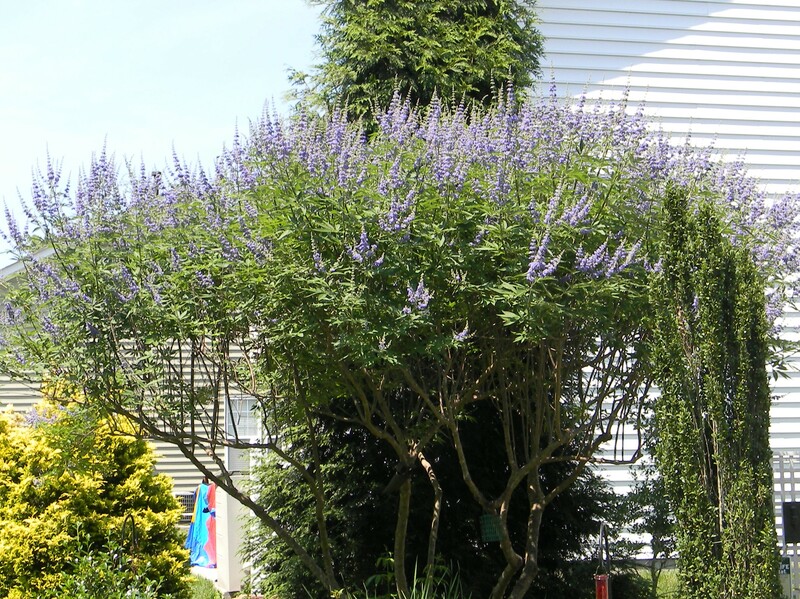 The chaste tree (Vitex agnus-castus) below had its origin in my Aunt Martha’s garden in Chatham, VA, about twenty years ago. She gave me several cuttings then from her tree which rooted easily and played a key visual role in my Chapel Hill garden, even after a beaver took out four of its five trunks (they grew back quickly). When we moved to the Charlotte area, I brought along a cutting from that tree, it survived the move, and is seen here, nine years later, thriving in its new location. 7. Does gardening inspire any of your other talents? Gardening has indeed inspired me to write about it. I must leave it to others to evaluate the talent level involved. Unfortunately, I would have to say it hasn’t helped my tennis game. 8. What type of soil do you garden on and what benefits or problems do you have with it? CLAY! Compacted CLAY! Water-soaked CLAY! It just does not drain, so I have constructed raised beds for my perennials and shrubs where ever possible and use a soil mix formula that I have developed. The trees, with good planting practices, seem to be doing all right, even in the clay. 9. Who’s garden has inspired you most? 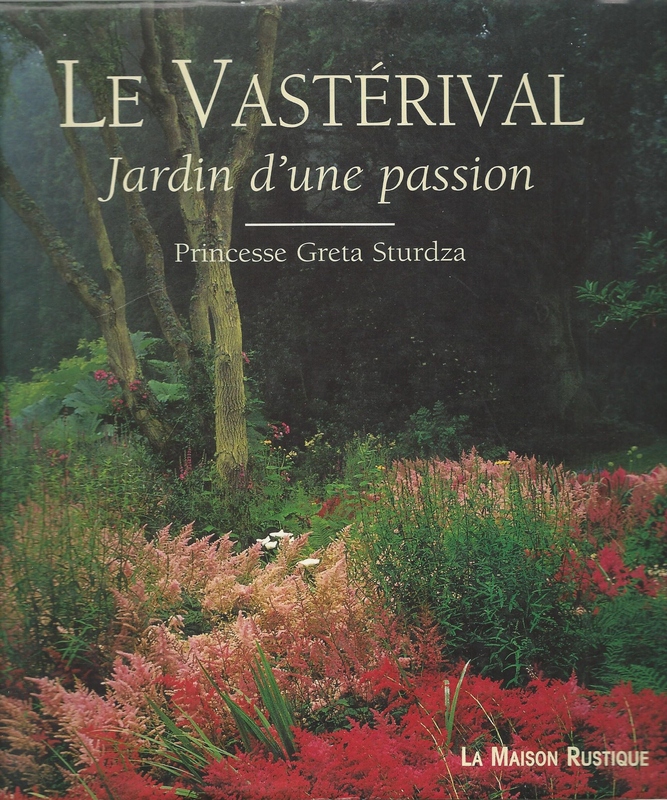 The late Princess Greta Sturdza and her garden in France, Le Vasterival. I always thought the Moss Garden in Kyoto was the most beautiful garden in the world until I visited Le Vasterival. Of course, I don’t have 30 acres in which to plant a garden, but words are hard to find to describe the beauty, the quality, the inspiration of that garden. 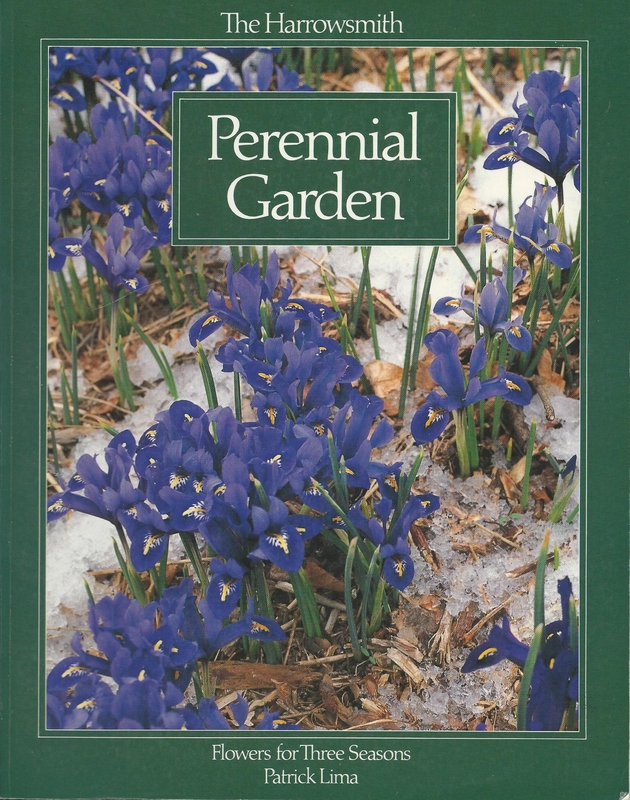 A second garden, which I have never visited but was also a true inspiration when I was just getting serious about gardening, was The Harrowsmith Perennial Garden, discovered in a book by Patrick Lima about twenty-five years ago. It opened my eyes to the realization that one could craft a garden with perennials that would provide a continuous stream of blooms. I must have read that book a dozen times. 10. If you could be Head Gardener on a large estate where would you choose? Le Vasterival, no second thoughts. 11. Going for a walk….Park or Garden? Garden. There’s always something to discover, to learn, to emulate, to be challenged. As part of the process of accepting this nomination, I am asked to nominate five worthy blogs. If they accept the nomination, they are asked to link back to this post, answer eleven questions that I have crafted, and then they may want to nominate five of their favorite bloggers and ask their own set of questions. These five, Pauline, Jason, Marian, Susie and Cathy, have been among my supporters this year and all are new “friends” by way of the blogosphere. I certainly enjoy the variety, depth, integrity, and insight they bring to their writing and photography and look forward to their new posts. 1. How would you describe your gardening style? 2. 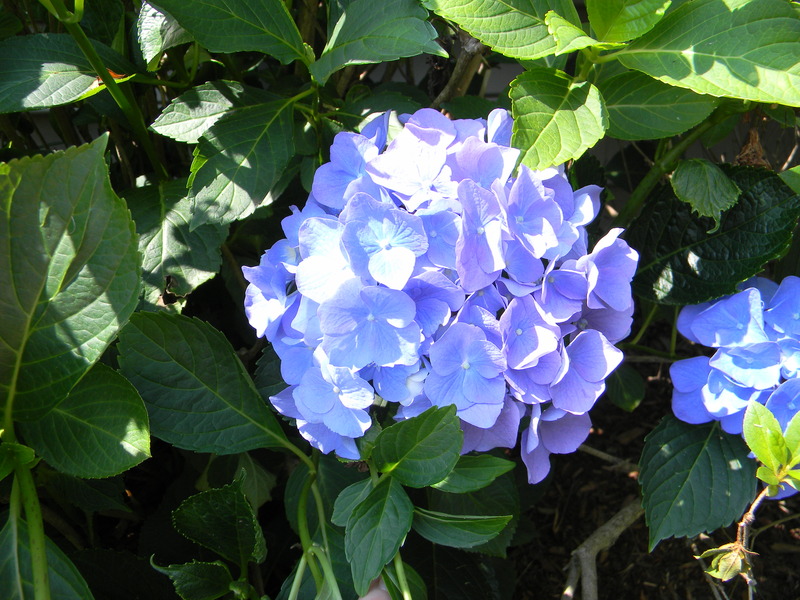 What new plant have you been dreaming about planting this year? 3. What is the most important lesson you learned last year? 5. What characterizes the ideal nursery/garden center/etc. as the best place to obtain plants? 6. Potting soil: Buy or Mix your own? 7. How did your love of gardening begin? 8. What training/classes have you attended to improve your gardening knowledge and skills? 9. What plants together produce your favorite color combination? 10. What garden(s) is on your bucket list? 11. What is your favorite winter plant? Once again, I express my gratitude to Sue for this nomination. I will display the Liebster logo on my home page with pride. This entry was posted in Gardening, Liebster Award and tagged chaste tree, clay soil, crape myrtle, cut flowers, from sewing room to potting shed, garden pests, Harrowsmith, Japanese maple, landscape style, Le Vasterival, Liebster award, Patrick Lima, rabbits, Sue Turner. Bookmark the permalink. Thank you, Cathy. The feeling is mutual. The chaste tree is special because of its family connection. It was most kind of you to nominate me. I am so new to blogging. Thank you for your encouragement. Well done John, the questions Sue set you were lovely and your answers really lovely too, Both of your book choices are new to me so is the garden of Le Vasterival, which sounds rather lovely itself. Thank you, Julie. I hope you will have the chance to visit Le Vasterival some day. There are many who consider it one of the finest. After reading your blog, I looked up Le Vasterival on You Tube, I can see how this beautiful garden has influenced your own garden. I hope I do get the chance to visit. Congratulations, John, and thank you so much for the nomination. Your chaste tree is indeed a beauty, and I had no idea you had such a challenging clay soil. Your garden certainly seems to thrive in spite of it. Thanks, Jason. A appreciate your encouragement. John, I’ve enjoyed your blog this year as well as your enthusiasm for gardening. Congratulations to you. Thanks also for the kind nod for my own garden. Congratulations John! I really loved your answers to the questions and am very impressed by your chaste tree grown from a cutting! I am so enjoying getting to know your garden. And thank you for nominating me too! Thanks, Cathy. The nomination is well deserved. I have greatly enjoyed reading your offerings. Congratulations John. I enjoyed your responses and look forward to seeing your nominees’ responses, all blogs I enjoy reading. Thanks, Annette. I appreciate your support and encouragement. Congratulations. I enjoyed your answers to the questions. Thank goodness that we are spared Japanese beetles and racoons here. I agree with you that Le Vasterival is the most inspiring garden. Did Princess Sturdza show you round? An amazing gardener and a formidable lady. She intimidated my group, threatening us with her pitchfork if we ventured too near to the flower beds. I believe the garden is still open to prebooked groups even though the Princess is no longer alive. Thanks, Chloris. The Princess did give us a lecture, standing on a stump, about not stepping into her beds. I remember that she wielded a three-tined cultivator as her weapon of choice. I did get her to autograph the book (which was conveniently on sale). The one thing I didn’t like about the visit was that we were restricted from taking photographs (I think it was to encourage book sales). One of her interns took us around. I hope that someone who loves and appreciates grand gardens is and will continue to be in charge. For me, it is one of the seven wonders of the world. I agree, it is a magical garden. I have the book too which I love. I grow Magnolia ‘ Star Wars’ on her recommendation and it is fabulous. She certainly had an eye for a good plant.